After shutting the door and pushing start on the washer you can hear the door locking mechanism engage and a quick check of the door shows that the door is indeed locked. Once the door locks the typical “hum” that is heard at the beginning of the cycle is heard and you can also hear what I assume is relays or a relay engaging but you never hear water flowing and within about 10-15 seconds the cycle stops and the door unlocks. No error codes are displayed. BTW, I’m getting all this good info from the tech sheet that comes supplied with every Frigidaire and Electrolux washing machine and is cleverly hidden inside the cabinet of the machine. Remove the toe panel to get to it. If someone “borrowed” yours and forgot to return it, you can borrow mine; just be sure to return it! 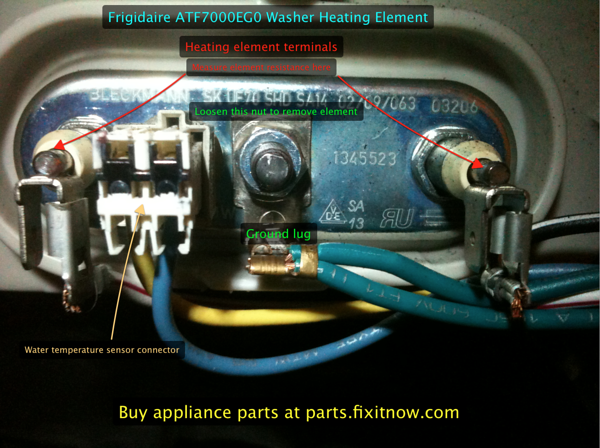 This entry was posted in Washer Repair on December 2, 2010 by Samurai Appliance Repair Man.